Fashion East is where up and coming designers showcase their LFW looks each season. 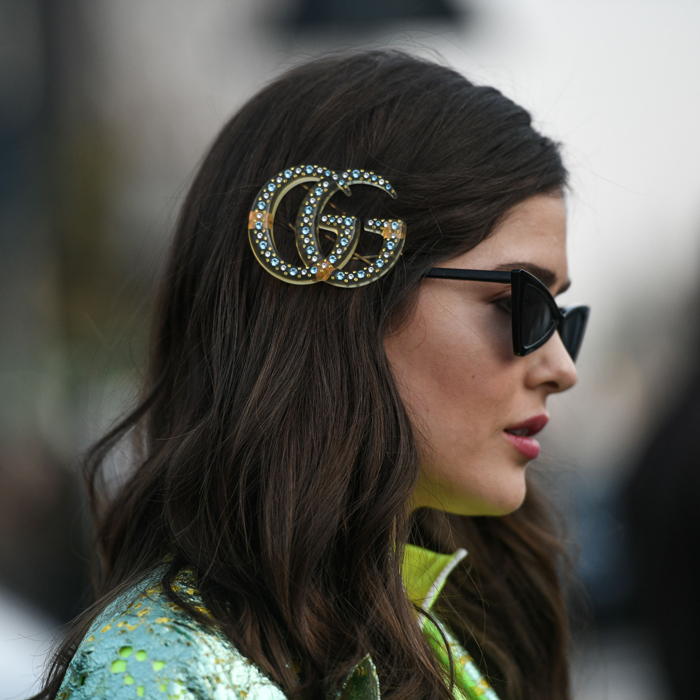 The looks are often diverse and daring, pushing boundaries that larger brand aren’t able to. And these braids at Supriya Lele are rooted in the designer’s ancestry. 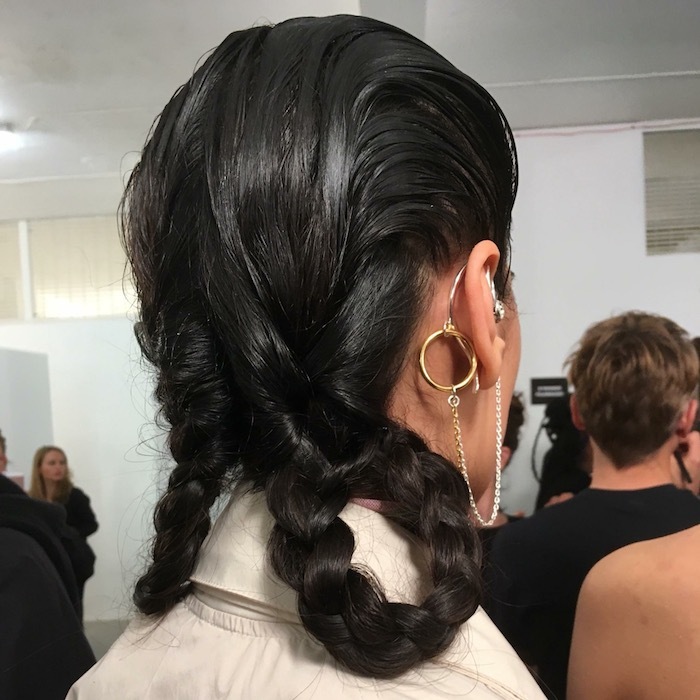 The hair at Supriya Lele’s Fashion East show was created with the designer’s Asian heritage in mind. 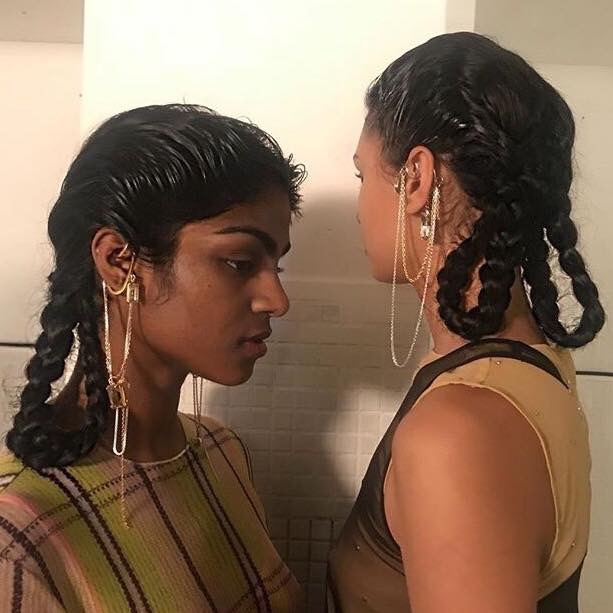 “We took inspiration from south Asian school girls with braids and gave it a contemporary sporty twist with the wet comb mark,” said Louis Ghewy who led the hair team backstage at the show. Assisting Louis to create the looks was Schwarzkopf Professional salon stylist’s Donna McKay and Leah Allen from Janet Maitland Hair Excellence and Chris Tranter and Annabelle Taylor from Edward & Co. Using Schwarzkopf Professional OSiS+ Grip and OSiS+ Hair body, comb the hair back, away from the face to create a wet-look root. 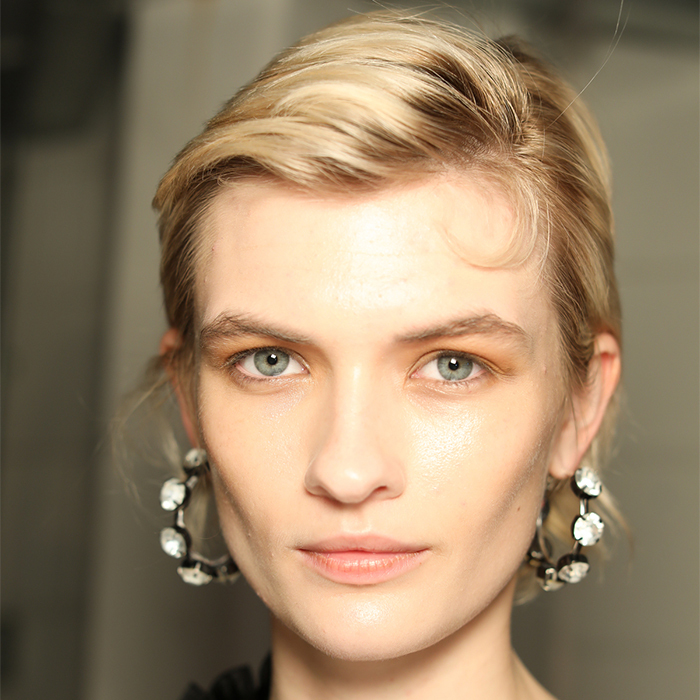 Ensure a wide-tooth comb is used to create the lines and texture through the hair. Part the hair down the centre and braid from half way down the head. Creating either one or two braids and looping the ends of the braids up on itself, tucking the ends in and underneath the braid. Finish the look with OSiS+ Session Label hairspray for hold. 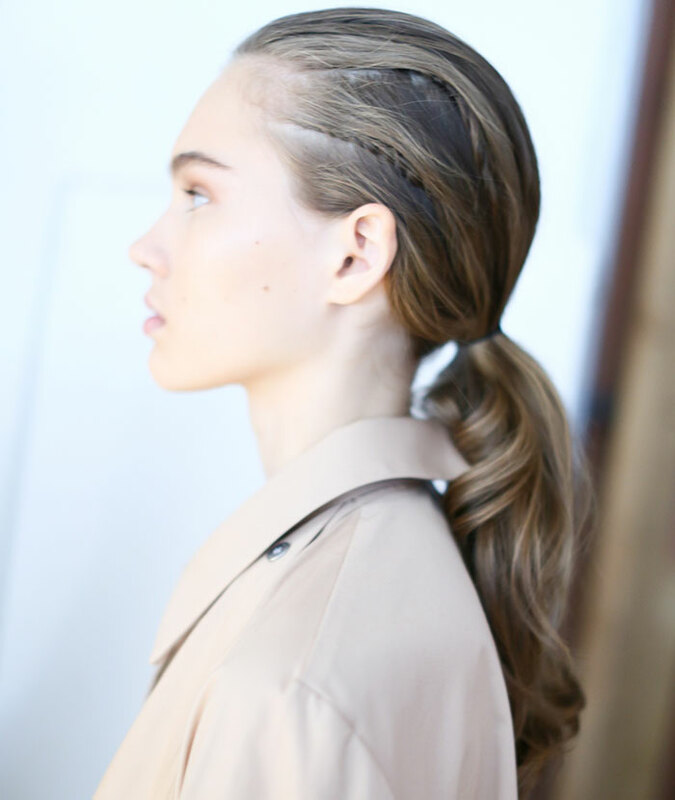 Want to be inspired by more braided hairstyles? 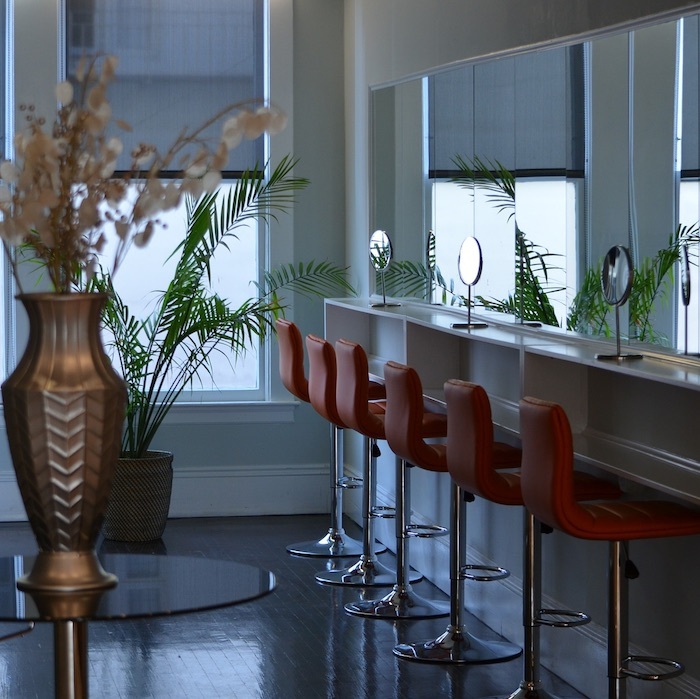 There are seven decades of braided hairstyles in the HJi gallery.